A quality pillow with moveable blocks to enable the work to be repositioned as it progresses. The 18" version has four full and two half moveable blocks. The two smaller versions have 5 full moveable blocks. In all sizes, the moveable blocks are contained within four fixed corner blocks. 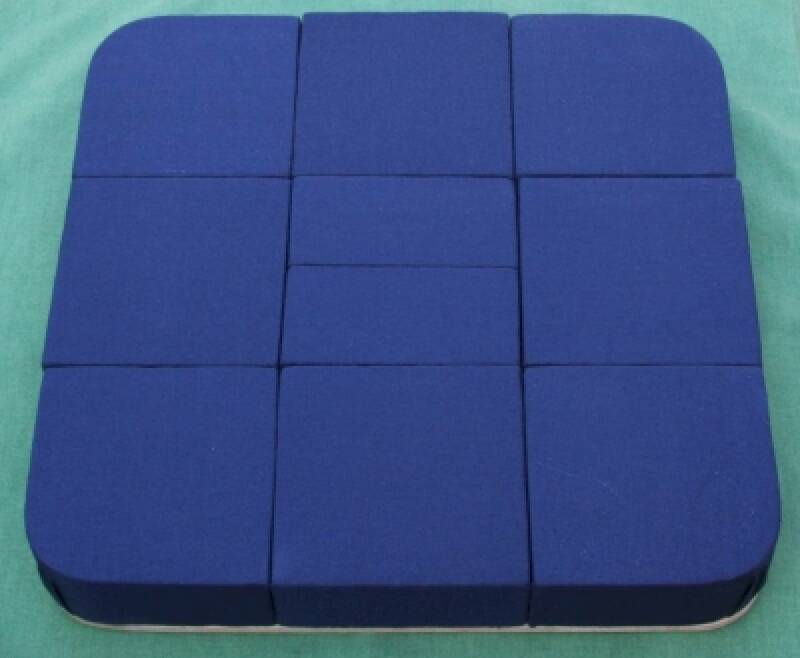 A 15 inch (37cm - with 5" blocks) is also available. All blocks are about 2 inches (5cm) deep. 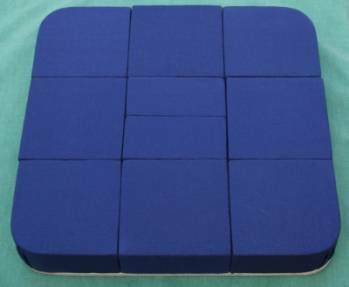 The pillow and blocks have a firm foam interior, a wooden base and are covered in a dark blue cotton fabric, ready for use.